Attend the Martin Luther King Jr. celebration (1/18): Orange County is one of the most progressive and inclusive communities in the state, so it’s only fitting that we hold one of the best celebrations in the state to honor the life and legacy of Martin Luther King Jr. Hear U.S. Attorney General, Loretta Lynch speak at the MLK Celebration Keynote Lecture and Award Ceremony on January 18. 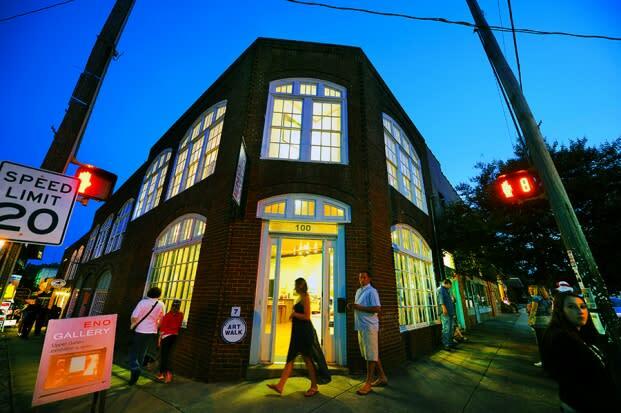 Enjoy Art Walk Last Fridays (1/26): If you’re looking for something a little more leisure, Hillsborough’s art walk on the last Friday of the month is the perfect fix. On January 26, visit the ENO Gallery, Arts Council Gallery and more to get the full art scene experience. Spend the evening with Lloyd Cole (1/27): Get a chance to see the legendary singer, songwriter and musician, Lloyd Cole at one of Carrboro’s best music halls, Cat’s Cradle. Playing a two-set show, you’ll hear all the hits from one of the industry’s best performers. The Chapel Hill/Orange County Visitors Bureau is the official destination marketing organization for Chapel Hill and Orange County, North Carolina. It is our pleasure to help make your visit to our communities one that you will treasure and a destination you plan to visit time and time again. Download the FREE Visitors Guide today or let us mail you one.